Located in Burkburnett at 301 East Fourth Street, 76354. Burkburnett's township's Methodists began attending church services on Sixth Street in the early 1900s. In a one room frame building that was a combination school, church, and social gathering place, M.W. 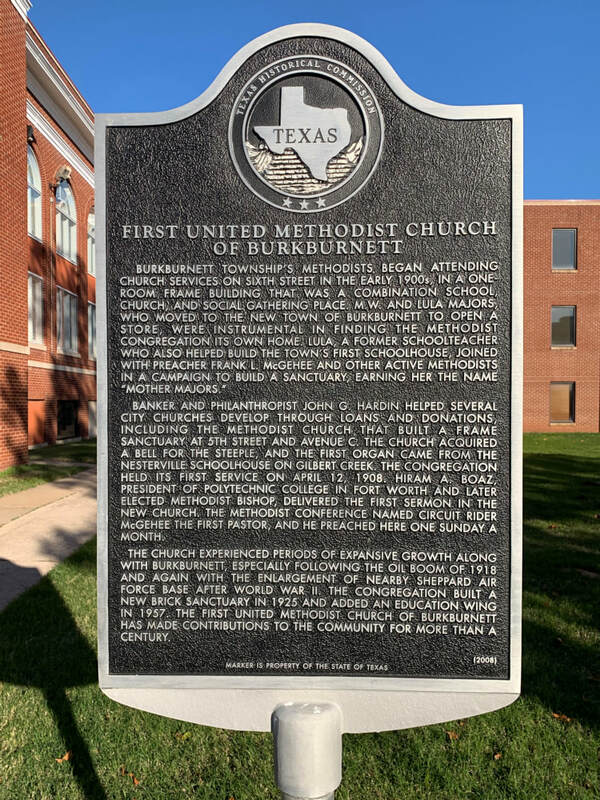 and Lula Majors, who moved to the new town of Burkburnett to open a store, were instrumental in finding the Methodist congregation its own home. Lula, a former school teacher who also helped build the town's first school house, joined with preacher Frank L. McGehee and other active Methodists in a campaign to build a sanctuary, earning her the name "Mother Majors." Banker and philanthropist John G. Hardin helped several city churches develop through loans and donations, including the Methodist Church that built a frame sanctuary at 5th Street and Avenue C. The church acquired a bell for the steeple, and the first organ came from the Nesterville Schoolhouse on Gilbert Creek. The congregation held its first service on April 12, 1908. Hiram A Boaz, elected Methodist Bishop, delivered the first sermon in the new church. The Methodist conference named Circuit Rider McGehee the first pastor, and he preached here one Sunday a month. The church experienced periods of expansive growth along with Burkburnett, especially following the oil boom of 1918 and again with the enlargement of nearby Sheppard Air Force Base4. After WWII, the congregation built a new brick sanctuary in 1925 and added an education wing in 1957. 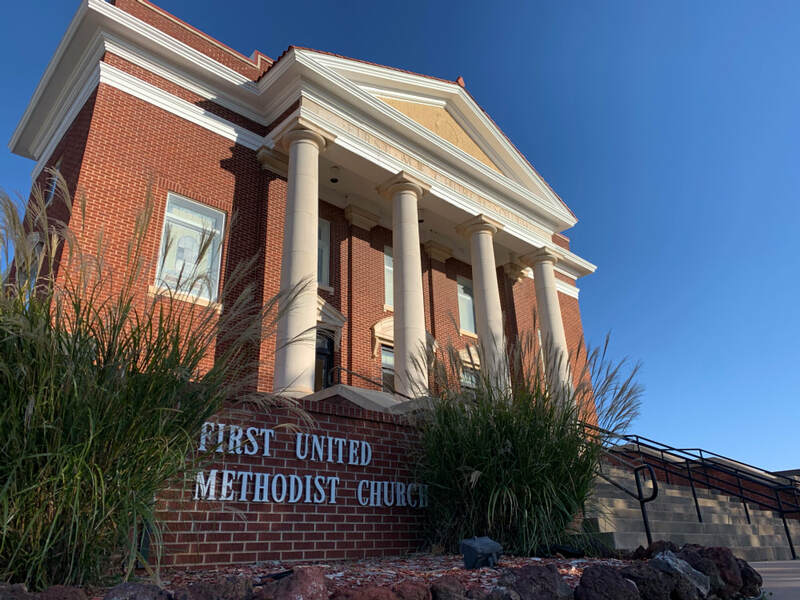 The First United Methodist Church of Burkburnett has made contributions to the community for more than a century.